This is not the first time that the Social Security Administration has faced criticism over its inability to deal with the backlog of disability claims. The agency currently faces a huge backlog of pending claims, although it says that it is working on reducing the backlog, by making improvements to the current system. 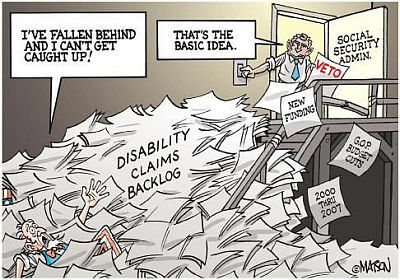 The economic downturn which began in 2008 further compounded Social Security’s backlog problems. There were a huge number of claims that were filed by workers who lost their jobs, as well as aging baby boomers. This influx of benefits claims simply added to the backlog, causing immense strain on the agency’s already limited resources, leaving the Social Security Administration teetering on the brink of insolvency.